Is this finally the tournament when Phil Ivey breaks through and wins his first World Poker Tour title? After Day 4 of the L.A. 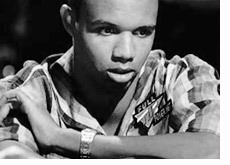 Poker Classic, Phil Ivey has the chip lead with a stack of just over $1.54 million. Kyle Burnside, the Day 3 chipleader, was bounced from the tournament on Tuesday. Blair Hinkle is hot on the heels of Phil Ivey with a stack of just over $1.54 million chips. Hinkle is a measly 2k in chips behind Ivey heading into Day 5. Phil Hellmuth Jr. is lurking just behind the two chipleaders with a stack of just under 1.4 million chips. Hellmuth Jr. had a fantastic day on Tuesday, vaulting himself into contention for his first WPT title as well. Nam Le, another name that might be known to poker fans, is currently in fourth place with a stack of 1.254 million chips. Jennifer Tilly is still alive but will be nursing one of the short-stacks heading into the second-last day of play. Play will resume on Wednesday afternoon when the remaining 18 players will play down to the TV final table.